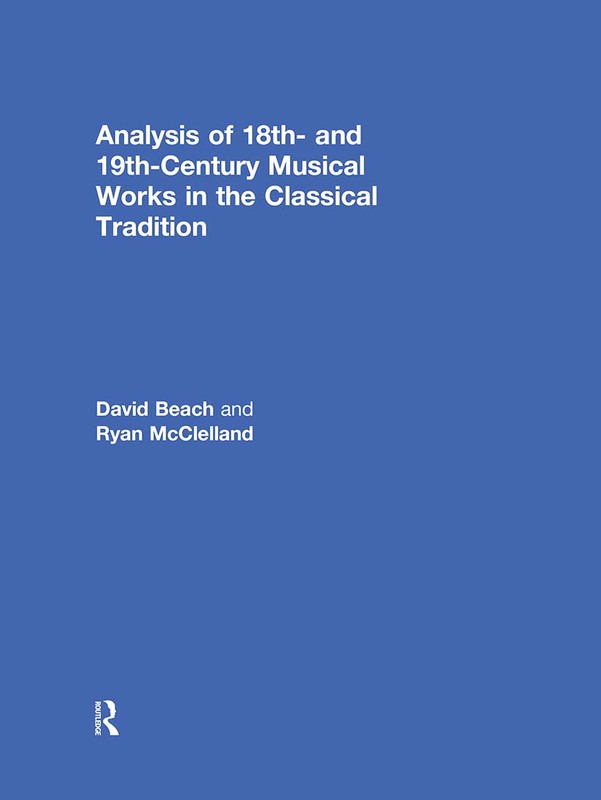 Analysis of 18th- and 19th-Century Musical Works in the Classical Tradition is a textbook for upper-level undergraduate and graduate courses in music analysis. It outlines a process of analyzing works in the Classical tradition by uncovering the construction of a piece of music—the formal, harmonic, rhythmic, and voice-leading organizations—as well as its unique features. It develops an in-depth approach that is applied to works by composers including Haydn, Mozart, Beethoven, Schubert, Schumann, and Brahms. The book begins with foundational chapters in music theory, starting with basic diatonic harmony and progressing rapidly to more advanced topics, such as phrase design, phrase expansion, and chromatic harmony. The second part contains analyses of complete musical works and movements. The text features over 150 musical examples, including numerous complete annotated scores. Suggested assignments at the end of each chapter guide students in their own musical analysis. David Beach has taught music theory for over forty years at Yale University, the Eastman School of Music, and the University of Toronto. Ryan McClelland is Associate Professor of Music Theory at the University of Toronto.